During the months of the German occupation of western Europe, the Allies provided strong support to the various resistance groups. Single-engined Lysanders of the RAF Special Duties Squadrons clandestinely delivered and retrieved Allied agents under the cover of darkness. These agents, known as "Joes," were tasked to coordinate acts of espionage and sabotage with the local Resistance groups. They were trained by and reported to, the British SOE (Special Operations Executive) in London, which was responsible for the coordination of Resistance activities with Allied strategy. By the end of 1944, 293 agents and other personnel had been carried to France, and over 500 had been returned to the secret airfields at Tempsford and Newmarket. In 1942 the American OSS (Office of Strategic Services) was organized under the dynamic leadership of Col. William Donovan, to supplement the SOE operations under the code name "Carpetbagger." The B-24 was selected for these operations because of its long range and roomy fuselage. The 492nd Group at Harrington continued dropping supplies, making night bombing runs, flying the Red Stocking operation, and making the A-26 agent drops in Germany until Germany surrendered on May 7th 1945. Although they existed for only part of the war years, the Carpetbagger Operation completed their duty with remarkable success by all measures: 208 aircrew were lost in action; 556 agents were dropped behind enemy lines, over 5,000 downed airmen were rescued, and 4,511 tons of supplies were delivered to the Resistance groups. 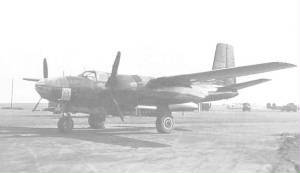 Over 3,000 missions were flown and some 20 night bombing missions completed. The group never moved to the Pacific Theater due to Japan’s surrender after the atomic bombs. The Group was deactivated on October 17th 1945. Many years after the war while writing a few pages to be included in Ben Parnell’s book, Lt. Rudolph would recall what kept going over and over in his mind: “What made this squadron such a closely knit and cohesive organization?” “What made it so well fitted for the Carpetbagger mission?” “Why did the men in these airplanes have such a great ability to organize and train others in the unique task of the Carpetbagger work?” And lastly, “Why did the esprit-de-corps of these few transfer to so many in the months ahead?” The answer lies within the fact that all these traits were found in the anti-submarine crews. They flew hundreds of hours of combat missions over the waters of the United States and each crew was a complete entity in itself. Their precision and accuracy in navigation while flying at low altitudes, and the high spirit of dedication to duty that had been drilled into each crew flowed down into every member of the squadron. When they arrived in the ETO, what also set them apart from a normal bomber crew were their missions. Each crew had to be self-sufficient - one plane with one crew and a target area of one-half-acre in some Nazi-occupied country. They had to fly around German anti-aircraft positions and they had to be on time with their load so those on the ground could retrieve it and return to hiding in a short period of time. If they were located by a German night fighter, they had only themselves to rely on to get out of danger and accomplish the mission. If there is anything else that is needed to answer Lt. Rudolph’s questions, I don’t know what it would be. These guys were truly some of America’s WW II unsung heroes.